SEO is much misunderstood and very much mis-sold so you need to know what you are buying and why before doing anything. 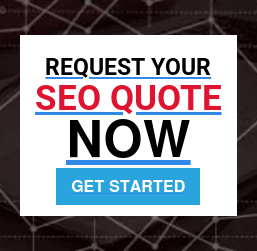 After reading this you will be able to decide if an SEO company are offering a genuine service or taking you for a ride. For starters read this fun and novel SEO explained page. SEO is simply any work carried out to increase the number and more importantly the quality of visitors to your website by making sure the website ranks in the search engines (Google etc.) for words and phrases related to what you are selling. If you sell car insurance then you want to be on page 1 of Google, preferably number 1, when someone types in car insurance. Simple. How Do You Start SEO? You research what words and phrases people use to buy the products and services you are selling, this is known as keyword research. The purpose of this it to make sure your pages are optimised for relevant words and phrases. It's worth noting, just because lots of people use a particular phrase doesn't mean you should optimise for it, if the competition for the phrase is tough (lots of other established sites are chasing the phrase) then you might be better chasing other less competitive phrases. OK, I Get That, What Next? Next you optimise your pages using the words and phrases you found. There are certain elements of a web page (title, meta, headers) that search engines focus on and these need to be set-up correctly. Sadly not, because anyone can carry out keyword research and optimise their pages there are loads of well optimised pages about any given subject so Google needs a way of deciding which ones are best. It does this by measuring the number and quality of the links to your pages from pages on other websites. How Do I Do Link Building? We've written a long article on SEO link building techniques and we'd advise reading it. In summary there are two approaches to link building. You can buy them, which is against Google's guidelines or earn them, our preferred method. What Do I Need to Watch For When Buying SEO? We'd advise avoiding companies who guarantee specific rankings such as page 1 or in some cases number 1. Nobody can guarantee a ranking unless they are using techniques that could get you banned from the search engines, which isn't ideal. We'd also avoid companies offering SEO for a low monthly fee such as £99.00 or lower. What could they possibly be doing for £99 except taking your money and using some automated software. Do You Guys Sell SEO? Hell yes but we don't do the dodgy stuff and we are not cheap, cheap SEO is a waste of time and money. We help our clients create sites that will last and add value to their businesses. We sell search engine optimisation (SEO) services. SEO isn't scary and if you follow the basics of SEO you will see an improvement in your search engine rankings, guaranteed. SEO can get your head in a spin. Like many things in life there are lots of different opinions on what works and what doesn't. Although there may be some magical formulae kicking around - doubtful - one thing is for sure, if you get your basic site structure and on page tagging right you will be on track for search engine success. We make a living building search engine friendly websites and we also reverse engineer other sites in order to get them performing better in the search engines. In order to help you improve the performance of your site we've created this simple SEO check list in our blog. Doing nothing and hoping isn't an option. It's time to sort your website out!